In the first two blanks of this model form, type or neatly print the name of the parent who will sign over the power, followed by the city where the parent lives. In the next two blanks, put the name of the person who will get the power and the city where that person lives. Fill in the names and dates of birth of all the children involved. 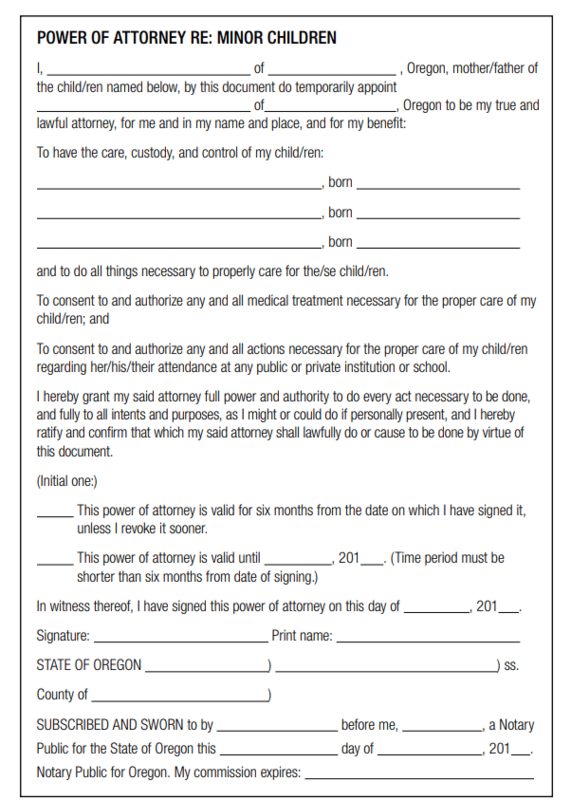 Next, have the parent take the form, with photo identification, to a notary public to sign the from and have it notarized. The parent gives the complete form to the person who will act as the caregiver—you.